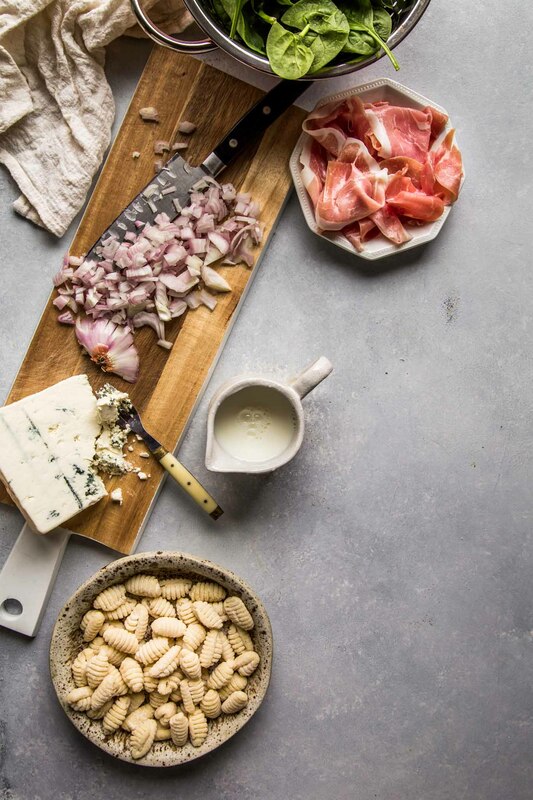 Gnocchi with Blue Cheese and Frizzled Prosciutto is pure decadence. 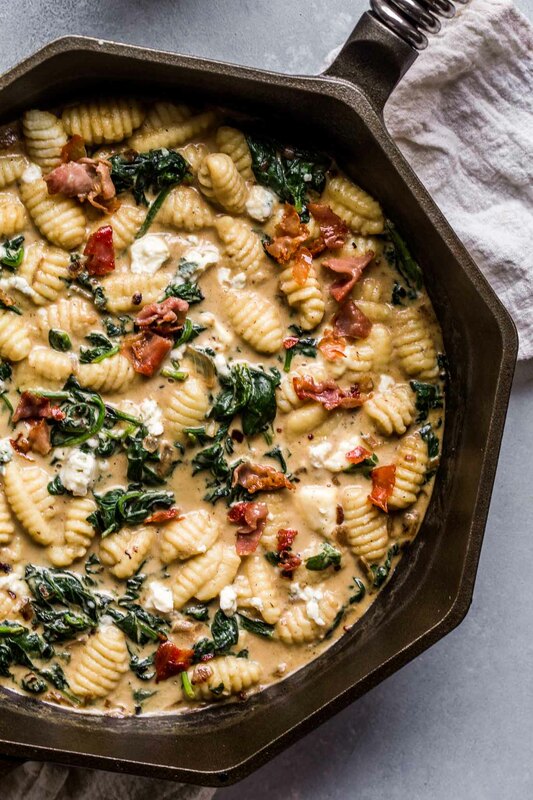 A rich blue cheese sauce coats the gnocchi which is tossed with a bit of fresh spinach and topped with some crispy prosciutto. Merlot was one of the first wines that I started off drinking (15 years ago). It was around that time that I started to really get into cooking too. After graduating from college, my girlfriends and I would make a point of getting together every Wednesday night. We’d take turns at each other’s houses, with the host cooking dinner, and the rest of us bringing the wine. Most of those nights included a bottle of Merlot. Normally, we wouldn’t know what was on the menu for the night, so we’d just gravitate to food-friendly Merlot. Call it the original #WineWednesday. Flash forward to a couple years later – In 2004, the movie Sideways came out and just abolished the name of Merlot. In the film, wine snob Miles, played by Paul Giamatti, openly talks about how he can’t stand Merlot. He won’t drink Merlot. He much prefers Pinot Noir…. Much more elegant, and refined, and SO much better. So, obviously, my friends and I shamelessly made the transition to Pinots, as did many other people. Everyone was flocking to Pinot Noir – It gained a huge following almost overnight. And, poor Merlot ? went through something called the “Sideways Effect” – It’s sales decreased, as did prices due to the lowered demand. Ten years later, I’m just now learning that there’s an inside joke at the end of the movie. Miles heads to a fast food joint, and consumes his prized bottle of 1961 Chateau Cheval Blanc from a brown paper bag. This Bordeaux wine is noted to be a blend of Merlot (gasp!) and Cabernet Franc. Cheers Miles. So, let’s all just get back into loving Merlots – OK? Merlots can vary quite a bit depending on the production region. Those growing in cooler climates (France, Italy) tend to have a bit more tannin to them, are less fruit-forward, and a bit more earthy. Whereas Merlots coming from warmer regions (Chile, California) show off more ripe fruits and are softer in tannin structure. You’ll get aromas of cherry and cocoa – Baking spices, vanilla, smoke, and earthy notes can also shine through. The flavors that pop out are those of plums, blackberries, cherries, cocoa and pepper. All this makes Merlot fairly versatile in the food-pairing arena. It pairs exceptionally well with roasted meat – Beef, game, poultry and pork, and with flavorful cheeses – Blue cheese, sharp cheddar, camembert. 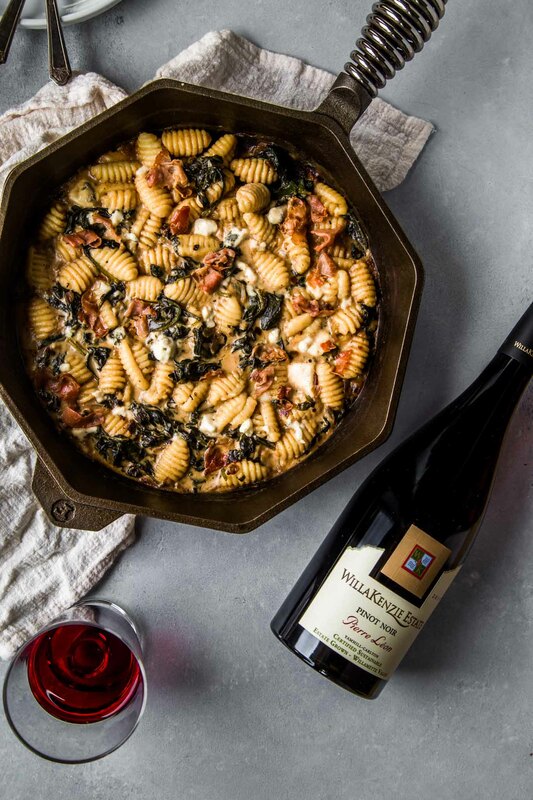 We’re going that strong cheese route with this dish and pairing Merlot with gnocchi that’s been tossed in a rich sauce of blue cheese and spinach. 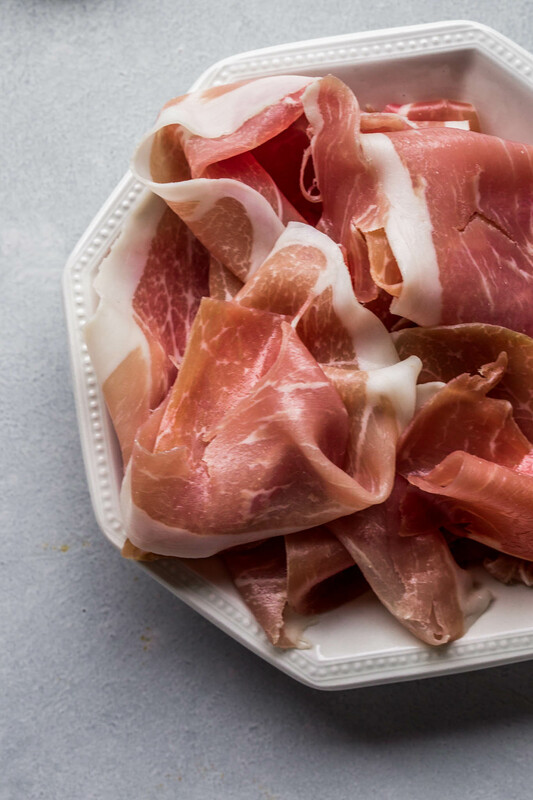 Plus, we’re topping it with frizzled prosciutto. I mean… YES! What’s the meaning of frizzled? To fry (something) until crisp and curled: frizzled the bacon. To scorch or sear with heat. What are your thoughts on Merlot? Were you influenced by Sideways too? Let’s all unite, break through our old thinking, pop open the wine and celebrate Merlot with this Gnocchi with Blue Cheese and Frizzled Prosciutto. Cheers! This Gnocchi with Frizzled Prosciutto and Blue Cheese is pure decadence. 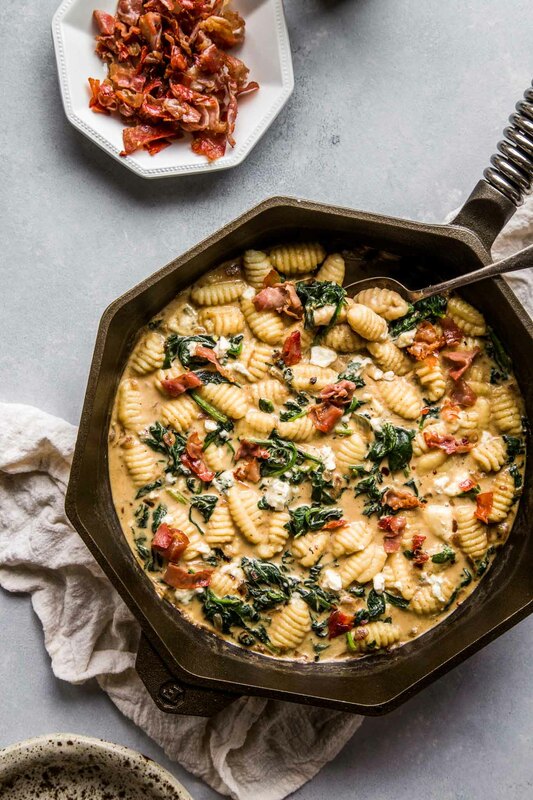 A rich blue cheese sauce coats the gnocchi which is tossed with a bit of fresh spinach and topped with some crispy prosciutto. Meanwhile, heat the olive oil in a skillet over medium-high heat. Add the prosciutto, and cook until crispy. Remove from pan with slotted spoon and allow to drain on paper towels. To the same pan, add the shallot and sauté on medium heat, until softened. Add the spinach to the pan with the softened shallots, and allow to wilt, 2-3 minutes. Add the gnocchi to the boiling water and cook 2-3 minutes, until the gnocchi float to the top. Drain. Add the gnocchi to the skillet with the spinach and shallot. Add the milk, blue cheese, and nutmeg and stir until the cheese is melted and the gnocchi are coated. Serve immediately. If you loved this Gnocchi with Blue Cheese I would appreciate it so much if you would give this recipe a star review! Also, be sure to snap a picture of your finished dish and share it with me onInstagram using the hashtag #platingsandpairings and tagging me @platingsandpairings. Merlot has an earthy, smoky quality to it that pairs amazingly well with this gnocchi with blue cheese. Pinot Noir is another great option. 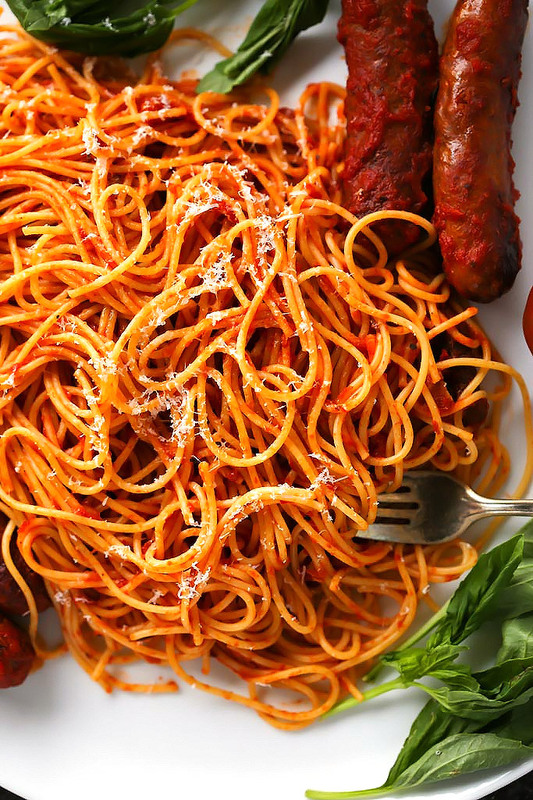 It’s earthy aromas and bright acidity balance out this rich dish nicely. the recipe sounds great! love a little proscioutto in in a pasta dish. Good reminder of how Merlot was actually enjoyed in Sideways, I forgot about that part. Thanks David! 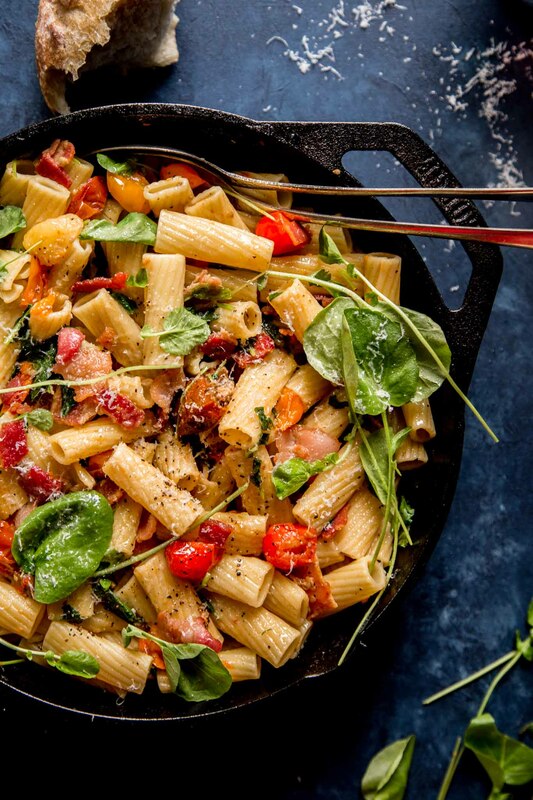 I love prosciutto in pasta, on bread, or simply on its own! I can definitely eat a whole package in one sitting – It’s BAD! Your frizzle has me all frazzled LOL. I too, like the fact that the J Lohr is offered at a price making it affordable to be an EDD. I loved the Duckhorn but it will have to be a once in a while splurge for me. The Duckhorn was really delicious, but definitely more of a splurge! This recipe sounds so good. Some of my favorite flavors. I used to make gnocchi from scratch pretty well and the last time I tried it was a disaster. This recipe might entice me to give it another go. I hope that it goes smoothly for you this time Jade! 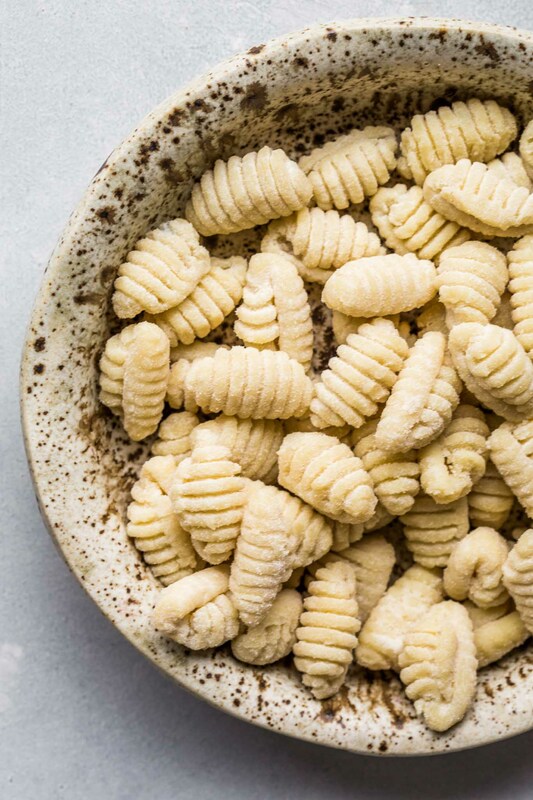 This recipe uses store bought gnocchi, so it’s hard to screw this one up. For homemade gnocchi, using ricotta cheese, check out this recipe for Lemon Ricotta Gnocchi. OMG! Your pictures are AMAZING. I just want to eat the gnocchi right now! So delicious and I ‘m not even a blue cheese fan. Thank you Lori! 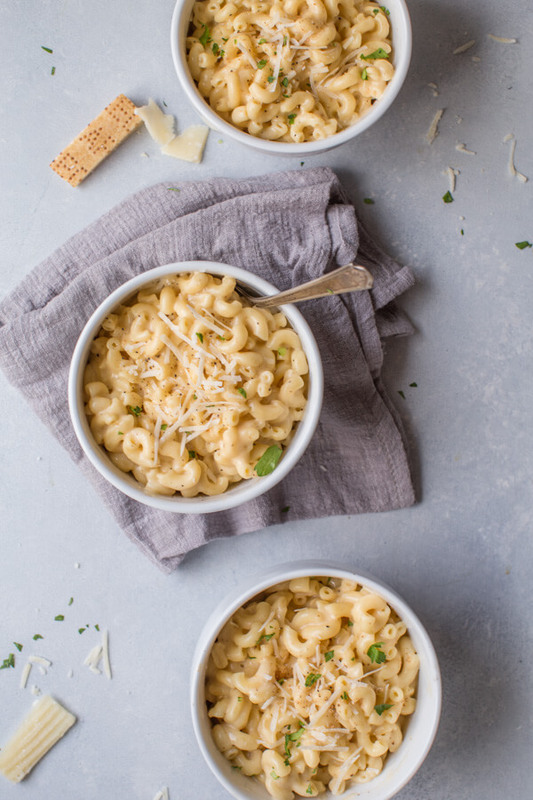 PS – You could always substitute a more mild cheese for the blue cheese. Totally get that there are some people who are not fans of the pungent stuff! I don’t have gnocchi that often, but just bought some and was wondering what I was going to do with them. May have to try this. It looks delicious. I hope you give it a try Jennifer! If you do, I’d love to hear how it turns out! Just the title alone had me wanting to try this dish. And the I saw your pictures! Beautiful dish! Thanks Sarah! It’s that word “Frizzled” I swear! Cheers!!! Oh my gawd….your dish looks amazing. Ha! It even looks like something I could manage since I don’t have to make the gnocchi! I bet it was good pairing too! Thanks Martin – The wines paired absolutely wonderfully with the dish! Great post & photos Erin! Isn’t it a shame that the Sideways Effect still impacts wine decisions today, especially when Merlot is such an accessible and friendly grape. Love the inside joke from Sideways too! Cheers! Thank you Christy! It is funny how one character in a movie can affect the wine industry so much! Entered and this recipe looks FABULOUS! What a beautiful dish! Looks scrumptious! Hi Rudy – I recommend a Pinot or a Merlot. 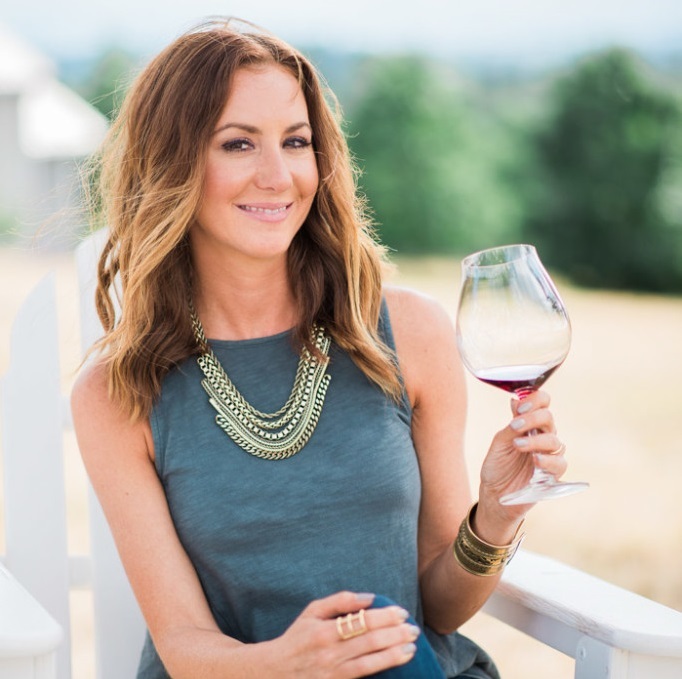 Just a heads up – I always add my wine pairing recommendations below the recipe. Cheers! Saw this recipe on your insta post and couldn’t stop thinking about it. Awesome flavor ideas! I never use blue cheese in my pastas, great idea. This combo was rich and wonderful. Brought a comfort and seasonal feel to our ever-summer Hawaii kitchen. Love your site!